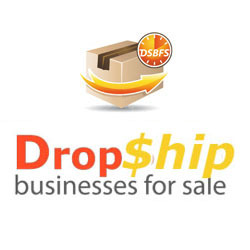 This post is all about exploring the main Differences between purchasing an Established Drop Shipping Store that has just traffic and one that has both Traffic and sales. As a professional website sellers / provides selling Established Drop Shipping & E-commerce Stores, the moment that we say a website is “Established then people automatically think that all they need to do is to purchase it and that will be the absolute end of any of their financial issues; but am afraid that this may not always be the case. Because we are a website / business that builds and then offers for sale other websites, it makes sense that we can not run every single website as we do this our very own & main site – putting in 100% the time and effort that it takes to run the website full time. Constantly updating it, blogging for it, creating fresh content etc. After all we built the website to sell on to a new owner. 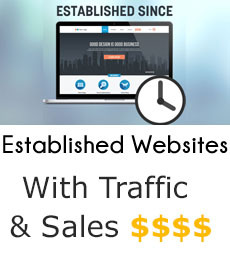 So what we essentially do is to build the website and then use our SEO experience in order to rank them within the search engines for targeted niche keywords that we expect the websites visitors to type into the search engines when they are looking for the kind of products that the website offers for sale. 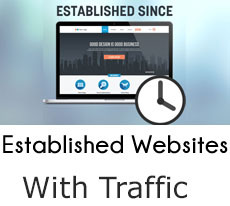 So when we say “Established” for these kinds of websites, we mean that the website has been designed, completed and is in receipt of targeted traffic. If you purchased this kind of website from us, all you will need to usually do is to enter your PayPal email into admin & continue with promotion, SEO and other of the areas required to run a successful online business. These kind of websites are our true definition of an “Established website for sale” – and will usually cost a bit more. With these websites we have really taken the time to expertly design build then SEO & rank the website within the major Search Engines. They are also getting targeted Search Engine traffic & have achieved some existing sales – proving the viability of the business. If you purchased this kind of website from us then you will be purchasing a Turn-Key Ecommerce website that will give you a serious head start over someone who has to start and build their online store from scratch. The type of website that you purchase from us will depend on the niche that you are interested in as well as your available budget.